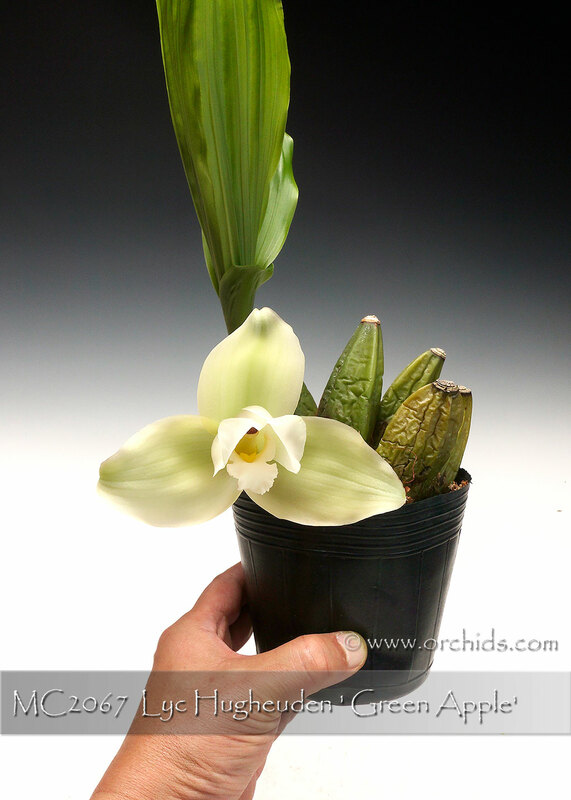 A new and rare green clone of this fragrant Lycaste from Japan ! 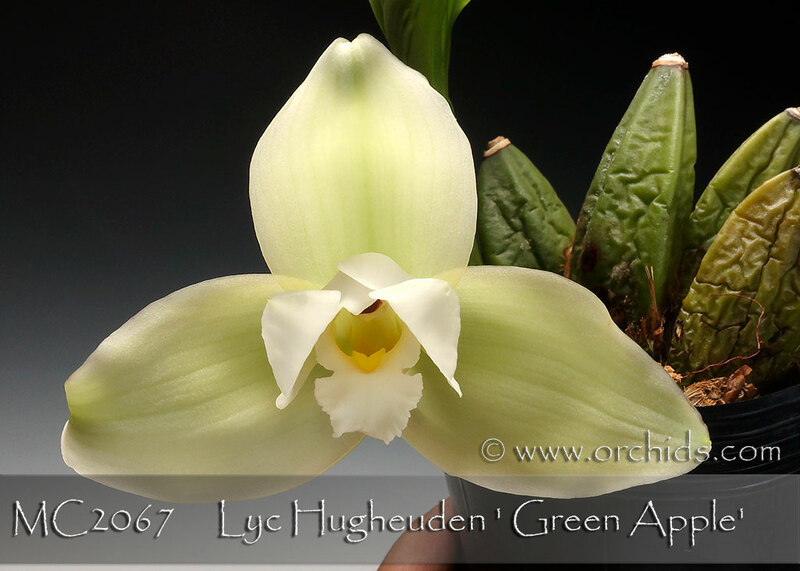 Bearing huge full form soft green flowers with softly contrasting white petals, this particular clone is a very vigorous grower and is capable of flowering twice a year from the same pseudobulb during a cool summer. Very Highly Recommended !